When hiring a crane for your construction project, you will obviously need to be informed about different types of crane and their function; ultimately this will ensure that you choose the right model for the work that you are undertaking. If you are hiring a crane for the first time, then you might not be familiar with the specifications of each model. Our brief guide below is designed to help you make an informed decision. Uses: The most common use for mobile cranes is in the construction and maintenance of buildings, highways towers and pipelines. Tower cranes are possibly the most commonly seen cranes; this model can be seen across the skylines of London, Manchester and Birmingham. A tower crane consists of three major components working in tandem, the base, the tower and the slewing unit. Arguably the most complex crane model, the tower crane is designed to balance weight and counter-weight. All-Terrain Cranes are a type of single engine, mobile crane that are designed to travel at speed on public roads and on rough terrains at a job site. These cranes combine the rough movability of Rough Terrain trucks and the road compatibility of truck mounted cranes. The truck is supported by Outriggers that extend to stabilise the crane when lifting heavy tools and equipment. They combine the road-suitability of mounted cranes with the durability of the rough terrain cranes. Uses: These are mainly used for pick and carry operations, off-road jobs and (you guessed it) rough terrain. Uses: Gantry Cranes allow for a closer approach to building and are normally used for low capacity lifting of heavy goods in an industrial capacity as well as in shipyards. 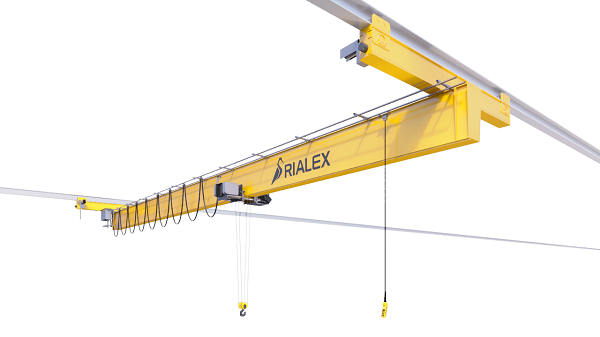 Suspended cranes (or overhead cranes) are similar to a gantry crane insofar as they are supported by beams. One of the differences between these two cranes is the mobility, Over head cranes can only move in one direction intended for lifting specific objects. Uses: These cranes are usually seen in the assembly area of factories or along the side of walls. 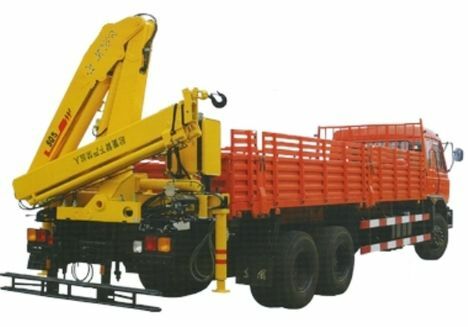 These cranes are hydraulically powered arm fitted to a truck or trailer, these types of cranes require the uninterrupted attention of the driver as they need to move around the vehicle to be able to view his load. An advantage of these cranes is that numerous sections of the arms can be folded when not in use which can save space. We couldn’t finish our little guide without a nod to our own cranes, now could we? Mini and spider cranes are perfect for the little jobs that may involve getting into hard to reach places. What is great about the mini and spider cranes is that their use is not limited to one application, their versatility being one of the many reasons they are so popular with our customers and clients. Still wondering which crane is the right one for the job in hand? We’ve put together this handy graphic, giving you a loose idea of which crane fits which job. We should stress that it’s in no way exhaustive and we certainly haven’t included every type of crane on here, but it should give you some idea as to the different applications of the various models out there. NEW MAEDA MC 405 with 850kg SWL searcher hook…. Picture here of JADE, LIFT LTD hire manager trying out our new MADEA MC405. Available now for hire UK wide. Our very new MC405 with Fly Jib, and 850KG Searcher hook attachment – also available in red and yellow .. ..